The Rockaway Switchbacks and beach bluffs habitat restoration project started three years ago with the question “what if”.The Rockaway Switchbacks area has been overrun by non-native invasive cape ivy, mustard, thistles, wild radish, fennel and other pest plants.What if we could tip the balance toward native plants and restore native habitat here? Three endangered species are found near Rockaway Beach: the San Francisco garter snake, the San Bruno elfin butterfly, and the California red-legged frog.Habitat restoration is critical for preserving habitat for these endangered species. We are currently looking for a new site captain to join our incredible team of volunteers. 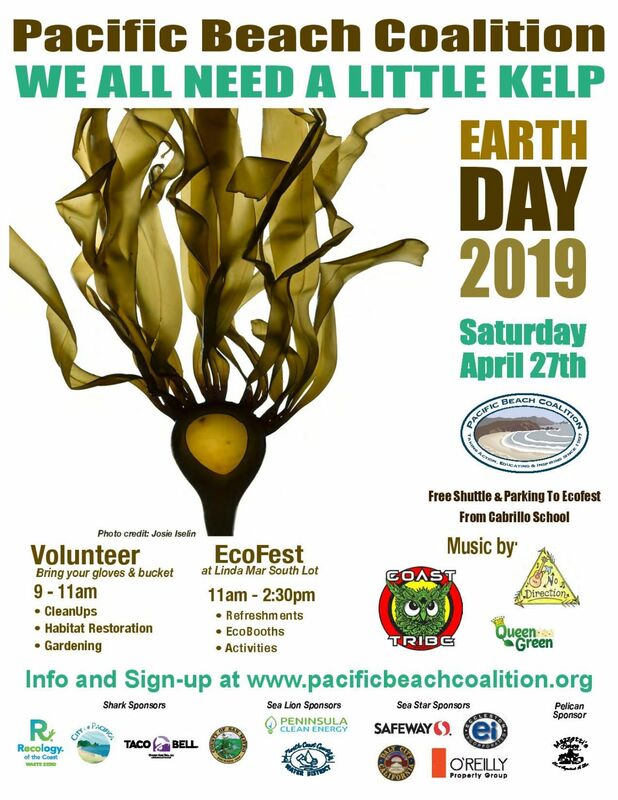 Please let us know if you are interested (or if you have any questions) by sending us an email at info @ pacificabeachcoalition.org. Thank you for your consideration! Previous Site Captain: Meet Freidel Cohen. 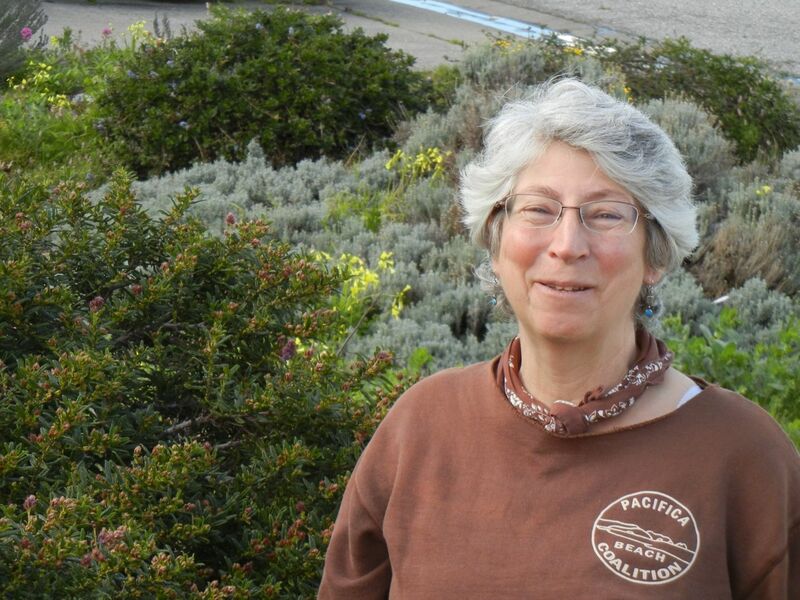 She is an environmentalist, an active gardener and a native plant enthusiast. As a Pacifica local, on her frequent walks along the pedestrian path connecting Linda Mar beach to Rockaway, she started thinking of each switchback along the walkway as a potential small garden. Hmmm, what if? 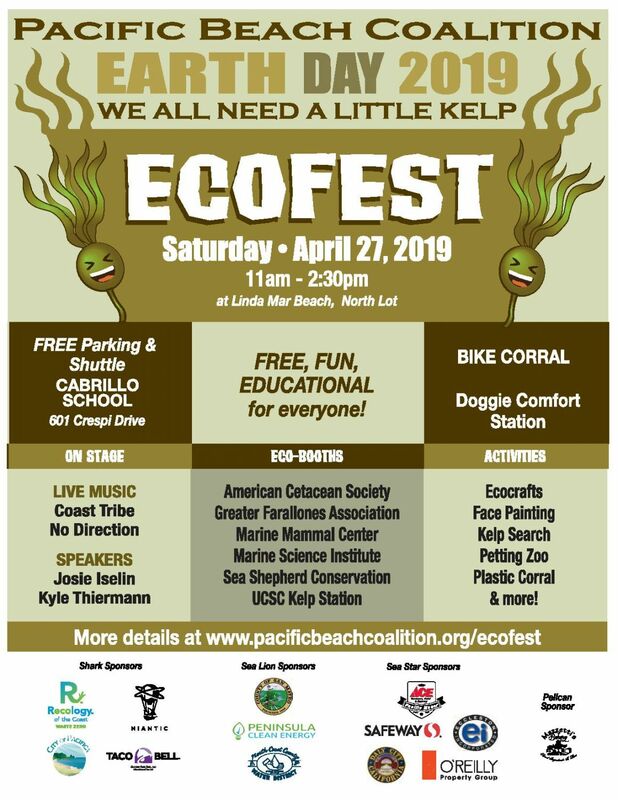 Since 2015, she has served as site-captain of native habitat restoration activities at Rockaway Switchbacks, and also as co-captain of the Linda Mar Beach habitat restoration activities. Her goals are to reduce invasive non-native plants populations while expanding a flourishing native habitat; to increase plant and animal biodiversity; to increase the native plant, insects, butterflies, birds, and animals populations; to educate and involve the community; to make new friends; and to have fun. Time: scheduled for 1st Friday of the month from 10am-12noon, from October 2017 thru May 2018, (and starting back up the 1st Friday of October 2018), and informally during the summer. We’re planning to work hard during the rainy season and planting season, and work less frequently during the dry season. Check our monthly calendar for exact dates. Where to Meet: The surfers’ parking lot at the base of the Rockaway Switchbacks by the bathrooms. At the stoplight intersection of Highway 1 and Fassler Avenue (inland) and Rockaway Beach Blvd (ocean-side), turn onto Rockaway Beach Avenue, and immediately turn LEFT onto Old County Road. Follow Old Country Road a short distance past the Holiday Inn Express into the surfers’ parking lot.